Was it a bad day or was it a bad five minutes that I milked all day? Well, I’ve had a bad five minutes, to be sure. But, on the other hand, everything that has happened since last December has driven me to my knees for answers, has prompted me to go to the temple for peace and comfort, has made me more aware of how much my children/family mean to me. As I have gone to the temple, I have felt the Spirit of the Lord. That in itself is amazing! I have felt His spirit in me. I have felt His comfort. I have felt His direction. I have felt His love. I have felt His forgiveness. I have felt His promptings. I have felt His concern for his children everywhere. I have felt His acceptance. I have felt His words. I have felt His understanding. I have felt His embrace. And I have tried to figure out what the heck to do. So far, the answers has been to do nothing. Seriously. Nothing. Loud and clear. How can I complain. How can I say life is hard? How can I say it is unfair? It’s completely fair. I have chosen paths that have led me to where I am. I have made poor choices. I have ignored the obvious. I have rationalized and excused myself. I have made my bed, and here I am lying in it. All of it. But even now, with the gazillion errors of my ways, the Lord has provided a way for peace and comfort and purpose. He has put people right on my path standing in my way so noticeably that I can’t help but exclaim, aha! another blessing! So taking inventory on this 65th birthday, I gotta say, it’s been real! I still have a lot to learn and I know my attitude will determine how that happens. I can be bitter, resentful, vindictive, or I can just let go of all the chaos, the ugliness, the disappointment and the hurt. I can continue to go to the temple to find solace, or I can make the worse possible scenario of my given situation. Notice what a gloomy, stormy day it was. The roads were bad, traveling the 120 miles to Ogden. It was snowy, slushing, windy, rainy! I was teary and melancholy. But, I knew that being here would salve my soul. It was a day when I had time to do two sessions in a row. And suddenly my life was amazing and beautiful and meaningful. That’s all it took. Even though the sky was still overcast and dreary, my heart held sunshine enough to get me through another week. 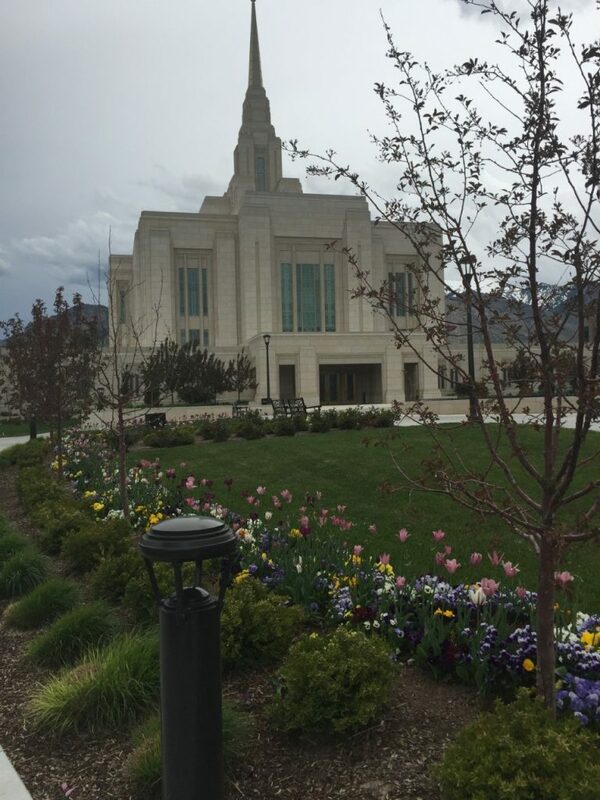 And that was the day I also realized that going to the temple could be life-changing for me, especially in my present circumstances … that I should/could/would make more of an effort to be there. I hope when I’m 70 I’ll still be making the choice to go often.